On September 15, 2015, Judge Sharon Wilson found William Joseph DeVillier, 36, guilty of one count of Conspiracy to Possess CDS II. DeVillier’s conviction comes from the lengthy Operation 27 investigation conducted by local law enforcement agencies. On March 12, 2014, DeVillier contacted Norvell Harris in reference to purchasing cocaine. Text messages were exchanged between the two regarding arrangements. 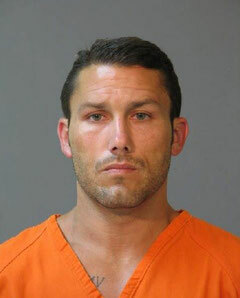 DeVillier traveled to a location on Prien Lake Road in Lake Charles. Officers then observed DeVillier enter a vehicle occupied by Harris. A short time later, DeVillier exited the vehicle and left in another vehicle. DeVillier was followed to a location on Ryan Street, where officers made contact with him and identified him. After the investigation ended, DeVillier was arrested and charged with Conspiracy to Possess CDS II with the intent to Distribute. Judge Wilson convicted DeVillier of Conspiracy to Possess CDS II and set sentencing for December 3, 2015 at 9 a.m.
Several members of the Combined Anti-Drug Team (C.A.T.) investigated the case under the direction of Louisiana State Police Senior Trooper Kent. Assistant District Attorney Brett Gaspard prosecuted the case for the C.A.T. division of the Calcasieu Parish District Attorney’s Office.